Chalk another one I’ve never heard of up to the ol blawg: Remus here is a one-year-old American Alsatian. He might look a little familiar: turns out he’s the one I saw in wags and mistook for a Caucasian shepherd. He also has another connection to the blog: his folks used to have a Bernese mountain dog named Moby, who was featured here back in 2012. Apparently he passed away recently, at the ripe old age of twelve (pretty great for a Berner!) Remus is their new friend. 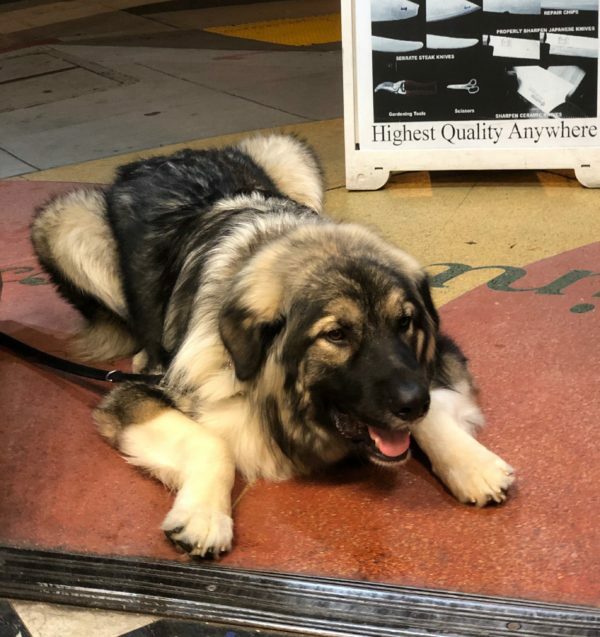 This entry was posted in Dog of the Day and tagged American Alsatian, Polk Street, Russian Hill. Bookmark the permalink.